The combined efforts of the NSA, CIA and NCIS could not stop true love. 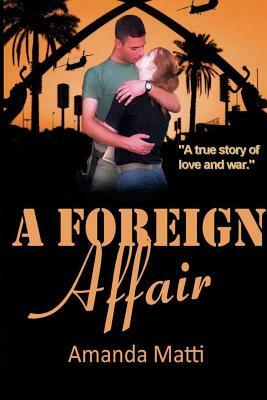 Can love exist between two diverse individuals whose countries are at war? When 22-year-old US Navy Intelligence Analyst Amanda Matti deploys to Baghdad, Iraq in the summer of 2005, she does her best to prepare mentally and physically to face the horrors of war. What she isn't prepared for is to fall in love...with someone on the "other side." For Amanda and her Iraqi translator Fahdi, it's love at first sight. While serving together near the front lines of the Iraq War, the two realize their connection transcends cultures, countries and politics. Amanda knows she may have to choose between Fahdi and her career in the military, but actually finds herself at the center of an international criminal investigation spearheaded by a trifecta of US government agencies - the NSA, CIA and NCIS. Spurred by a draconian double-standard, investigators quickly compile a speculative list of offenses Amanda may have committed; one being having fallen in love with an Iraqi native. Together Amanda and Fahdi defy governments and cause international scandal as they fight for justice and love. A true story of romance and war, but above all, an epic love that overcomes incredible odds.